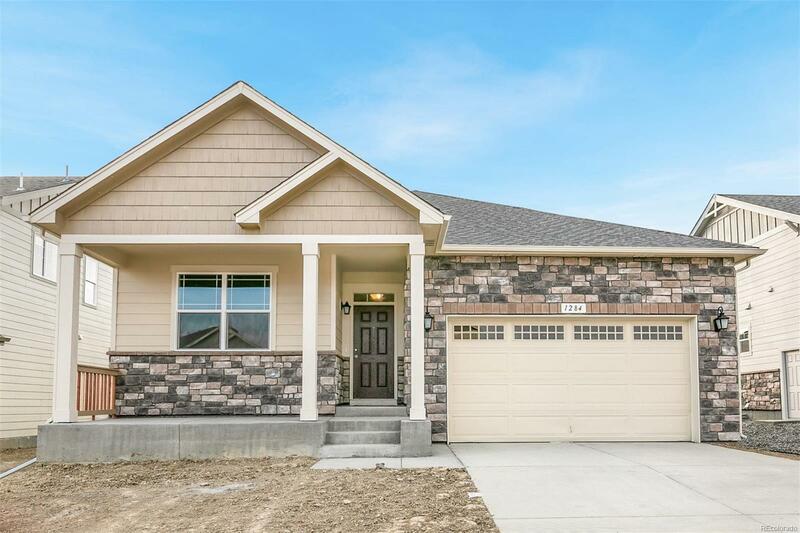 Beautiful open one-story home with 4 bedrooms and two baths. Efficient kitchen with island perfect for meal preparation and entertaining. Kitchen opens to large living room with gas fireplace. Front, Rear Landscaping, Sprinkler & Fence. All at an incredible price for Broomfield. Make this your new home! Only 2 Arlington plans remain at Vista Highlands so hurry in before missing out. Builder 2-10 Limited Warranty. Photos are representative, not of actual home.